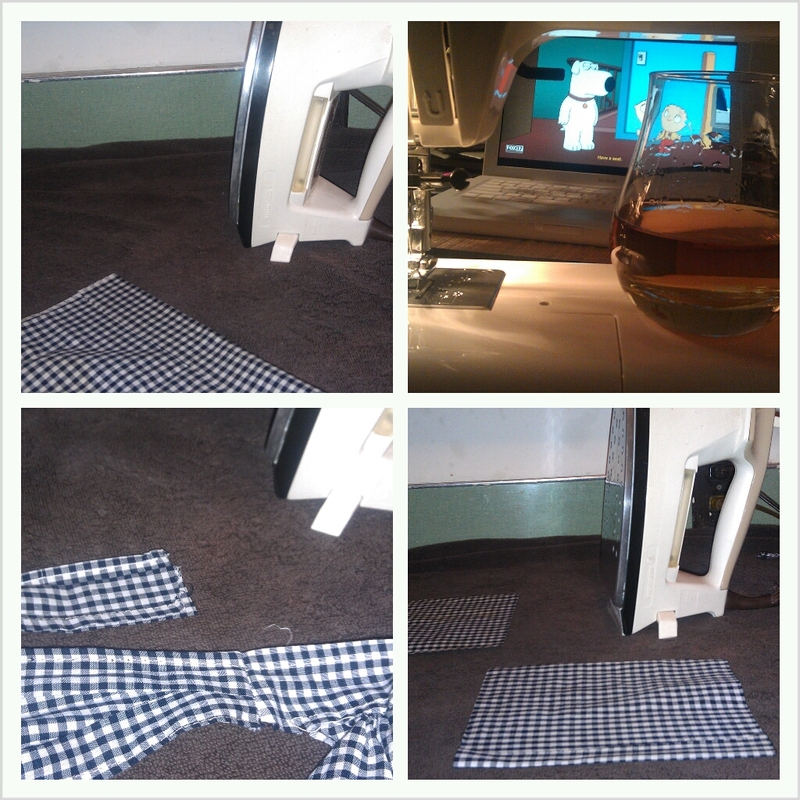 I hemmed and repaired, darted and stitched. It really didn’t take that long. I made two little pockets to hold my waitress necessities, Bridgette really comes in handy for measuring where pockets should go. I used to put the clothing item on myself and then mark it in the appropriate space. Now Bridgette stands still for me. Bridgette is my duct tape dress form that I made a month or more ago. 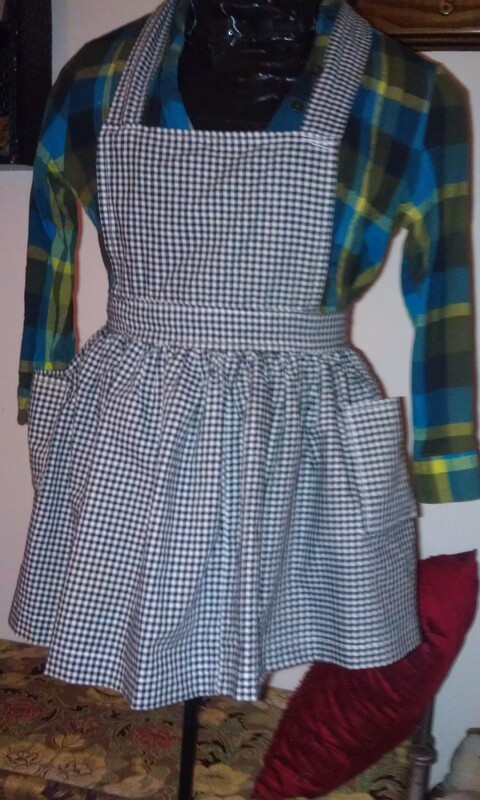 I am so excited to wear this apron to work tomorrow, it looks like a little dress!